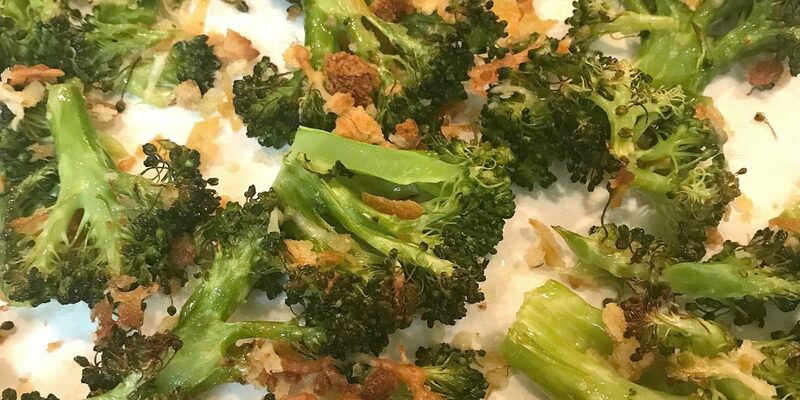 Fresh broccoli that’s roasted with a touch of olive oil, nutty Parmesan cheese and crunchy homemade breadcrumbs might just be the best, most simple side dish ever! Even the pickiest veggie eater will love this toasty version. It’s time for true cooking confessions. 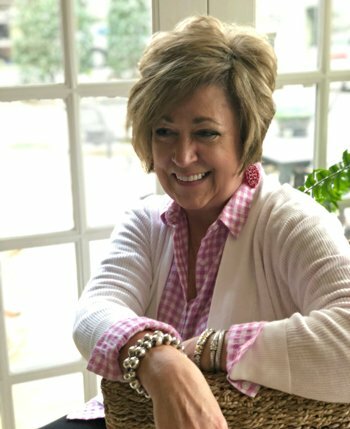 If you are one of those people like me, who have been cooking for their family for a while, and love veggies, well, I guess you’ll appreciate where I’m coming from. 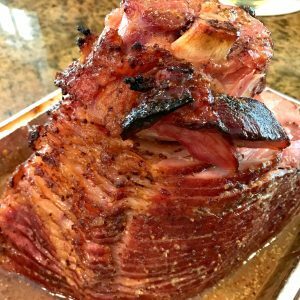 I grew up around people who could cook…no, kidding, really cook. My grandmother, aunts, and uncles were all good cooks. Now, my Mama, not so much, but that’s okay, she was great at so many other things. Anyway, the good cooks I learned from always showcased a wonderful main dish and several amazing side dishes. That’s where I learned to appreciate and love vegetables. Since I’ve grew up loving veggies, I thought everybody else did too. Then, along came Mr. A Southern Soul. Mercy day, I do love that man, but his taste buds did not really fit with mine when we first got married. He has tried my patience and tested my cooking skills but I was committed to proving to him that vegetables were a good thing and bring him over from the dark side. 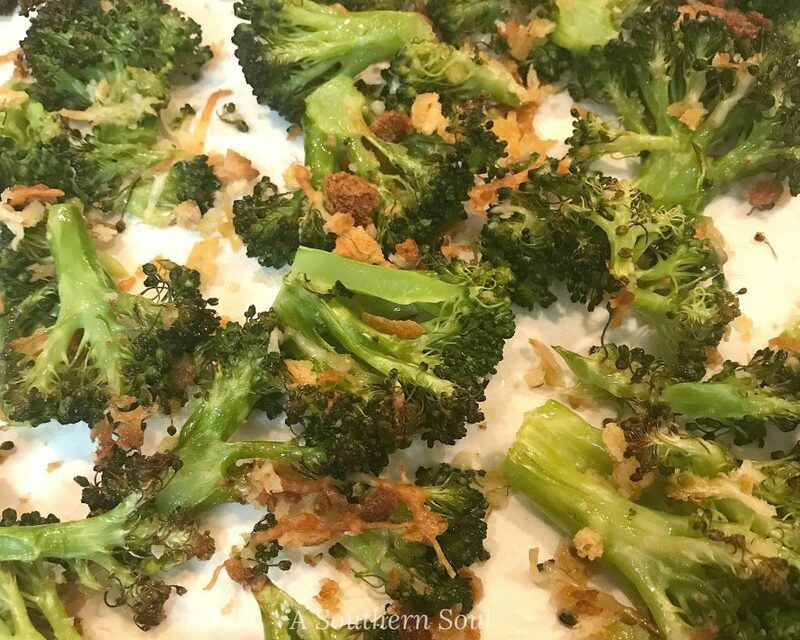 After a few years, many recipes and several cooking methods, I finally found the best way to cook broccoli that made me and Mr. happy. 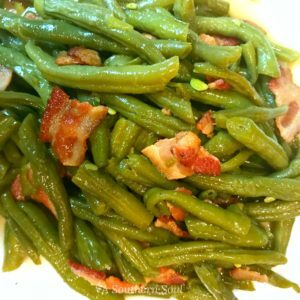 Then, after I achieved that goal, my two sweet boys came along and I had to introduce them to this awesome green veggie. The end of this confession is this, I wanted everyone in my family to love veggies like I do. I started with a simple head of broccoli. I worked on and off over the years to get the dish just right so that everyone would embrace it at meal time. Now, I’m please to say that my plan worked. 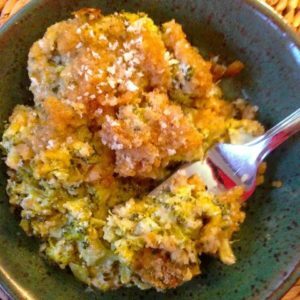 I make this easy, no fuss recipe almost once a week and…it never gets old. 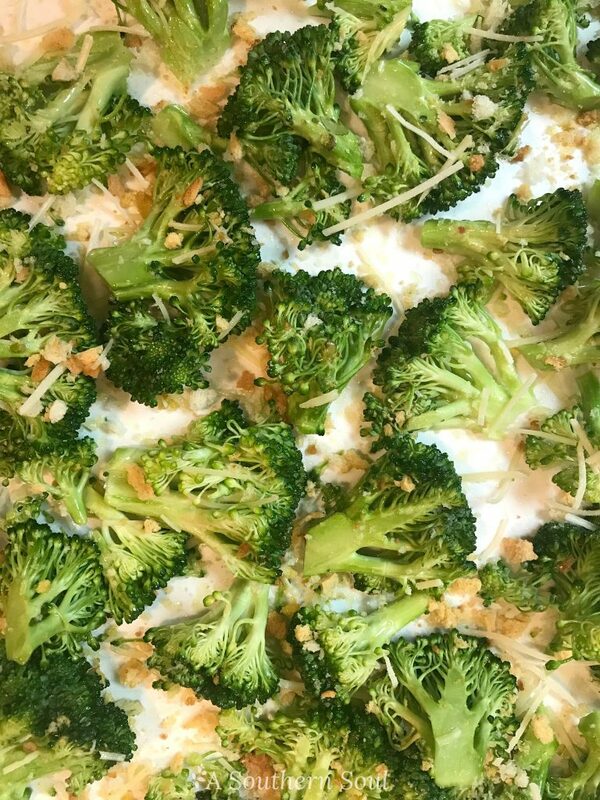 Oven roasted broccoli turns our tender with little crunchy bits of Parmesan and toasted breadcrumbs that make it a veggie everyone will love! 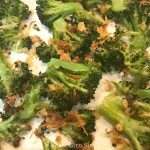 Cut broccoli into small pieces and place on sheet pan. 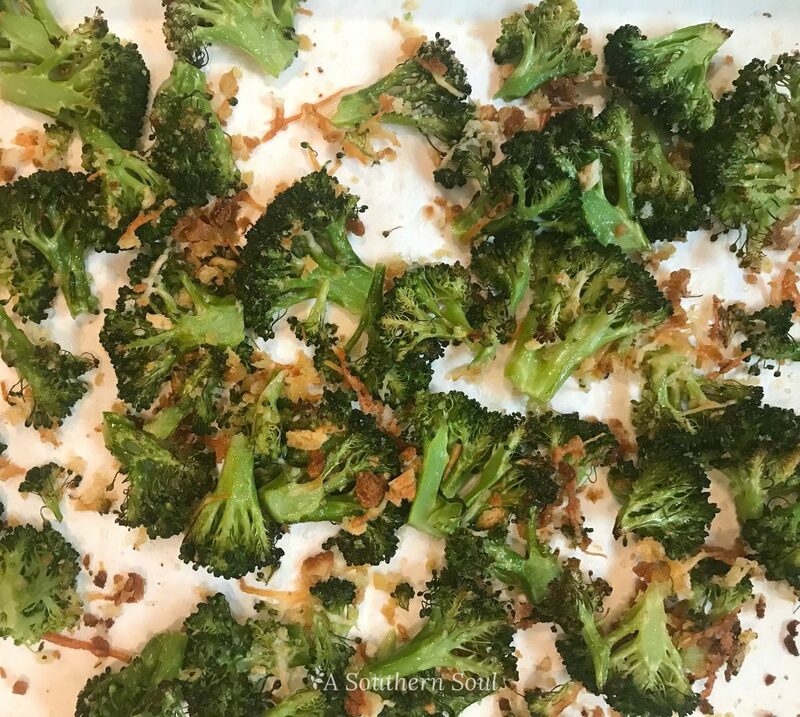 Drizzle olive oil over broccoli then sprinkle with salt and pepper. 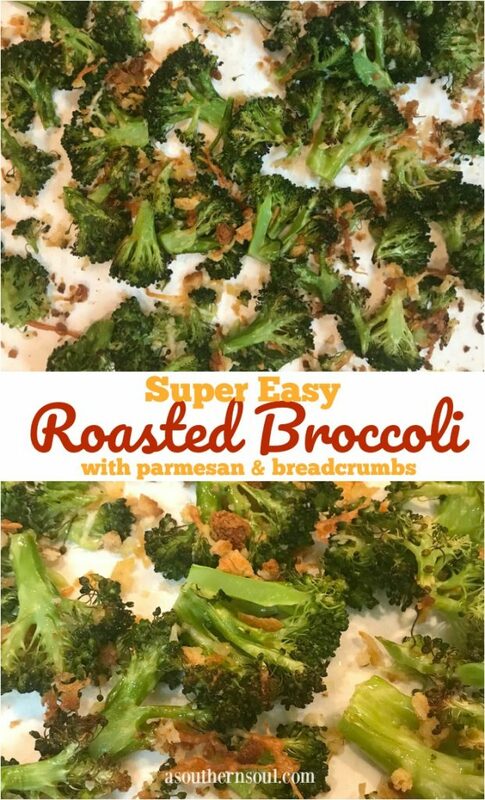 Mix together cheese, breadcrumbs and garlic in a small bowl then sprinkle over broccoli. Gently toss all ingredients together. Spread broccoli out on pan making sure pieces do not overlap. 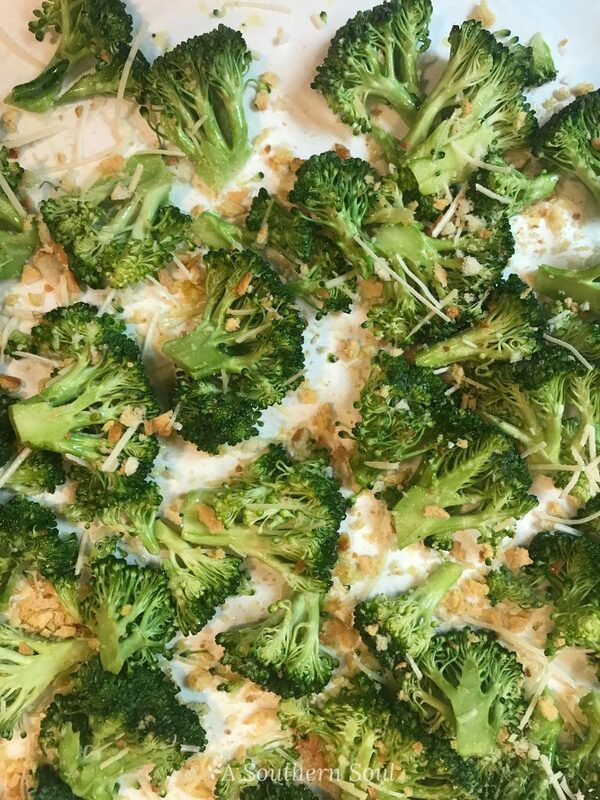 Roast in oven for 18-20 minutes until broccoli tips and breadcrumbs are golden brown. Remove from oven. Drizzle with more olive oil and season to taste with additional salt and pepper. Serve immediately.